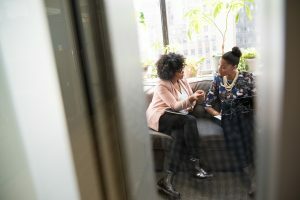 Onboarding employees, sharing best practices, and communicating compliance rules are all essential for any company that wants to remain successful and productive. Teams need to ensure that information is flowing effectively across the organization, whilst also capturing this shared knowledge centrally. 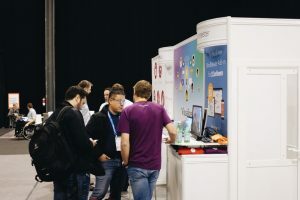 Fortunately, there are a number of cloud-based collaboration tools that support effective knowledge management – read on for why and how to use them. Below is a look at five of the major reasons why modern workplaces should strive for knowledge management excellence. Plus, we’ll give a shout-out to several SaaS companies that can take you there with intuitive, collaborative tools. The chief benefit of managing and sharing information effectively is that it simply makes it easier for teams to work together. And we don’t just mean from a practical standpoint. Sharing information can be critical for concurrent workflows and teams to function effectively. Plus, this kind of synergy is important from a cultural perspective, too. Information management and sharing foster trust where companies need it most: at the intersection of human and corporate needs. With multiple information channels open to us, business leaders can make decisions faster. Mid-level employees can elevate their ideas or concerns more quickly, and opportunities or problems can be addressed as soon as they arise. In turn, the enterprise benefits. Mission-critical information moves faster along the chain and by routinely sharing information, the whole organization grows closer, increasing collaboration and trust. Diversity is, quite rightly, a big focus of many corporates these days. When it comes to nonprofit, corporate and government-based work, it’s vital that a diverse group of people, with diverse backgrounds and perspectives, bring ideas (and criticisms) to the table. Plus, there’s plenty of data behind it. 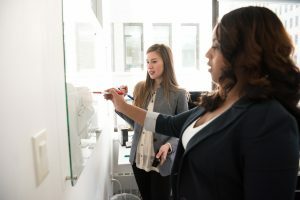 Recent findings from collaboration specialist Thomas Malone found that diverse teams, particularly teams with more women, are able to work together better and come to more intelligent decisions. The importance of diversity is also clear when we drill down and look at the workplace as a microcosm of the larger world. Companies that fail to chase new ideas and innovative approaches don’t last. More thoughtful companies come along and sweep their market share right out from under them. What makes these companies thoughtful? Creative fearlessness, for a start — plus also strong diversity in their cultures. To support your teams in taking bold approaches, you need to provide them with the resources they need to thrive. Here’s where knowledge management becomes less of an ideal and more of a regular practice. With the right incentivization, like tuition assistance, you can encourage employees to take training to develop their knowledge. Then, you can encourage these employees to disseminate their newly acquired knowledge internally too, sharing knowledge further. Managing your company information — and sharing it through employee learning opportunities, cross-training, and better intra-company communications — can, and will help you build richer skill sets among your employees. But it’s also key to helping you avoid employee redundancy. Let’s explain. The velocity of information in your company or organization has a very real relationship with the amount of duplicated effort you tend to waste. If you have multiple teams working in isolation and they’re both starting on the same piece of work from scratch, that’s wasted effort. If teams instead communicate their work to one another, teams can share their knowledge and avoid duplicated projects. For this, you need a team and company-wide culture of sharing information. 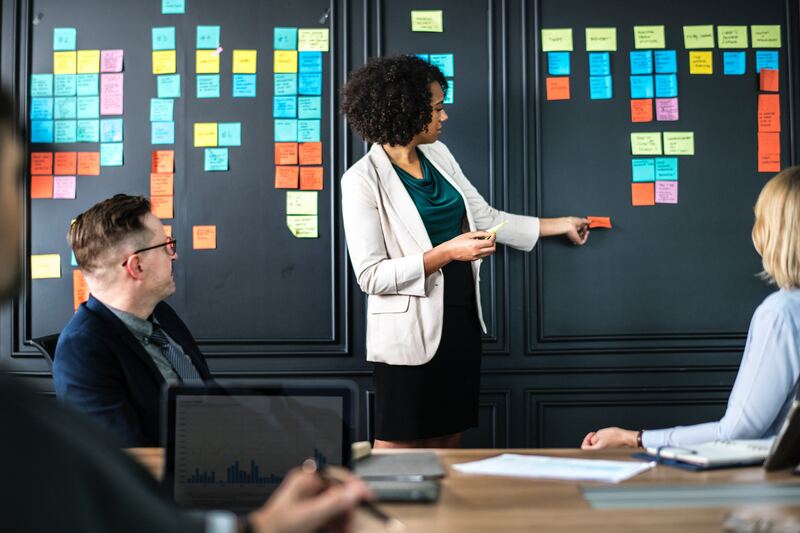 By enabling transparent project planning and creating more opportunities for teams to communicate, teams can remain up-to-date on the latest projects and plans. This allows teams to share information about what they’re working on, how they’re doing it and whether there are opportunities for collaboration. Granted, there are more structured — and, in some cases, software-assisted — methods of doing this, too, which we’ll come to. Employee turnover can make it difficult for growth-focused companies to maintain momentum. However, enforcing the correct knowledge management processes can be challenging. As a result, it’s important for leadership teams to share the importance of knowledge management and enforce the relevant processes. Remember that knowledge management and knowledge sharing are key elements to company continuity throughout uncertain times. If you do happen to shed one or more employees due to budget constraints or voluntary departures, you’ll be prepared. By ensuring other employees are at the ready with similar backgrounds, expertise levels and knowledge, you can ensure the company continues unaffected. We’ve already discussed some of the practical benefits of knowledge sharing. Employees who have better access to information, and who feel more empowered to do their tasks, end up being more productive, confident and engaged. However, some of the other benefits are a little harder to quantify. When you have better company-wide communication and when employees have the know-how, autonomy and trust of management to undertake their tasks effectively, that’s when you truly foster a sense of inclusive achievement. You can call it the democratization of information, a social workplace or a flatter company structure. Either way, the result is a group of people who have the tools and willingness to work more closely together. Your team will remain invested in each other and the total outcome as a team, beyond simply making a living. If that all sounds good to you, let’s continue with some tools to help active and ambitious workplaces create an environment that’s even more conducive to knowledge management and sharing. Effective and timely communication between employees is the gold standard for knowledge sharing. Although any modern organization can work towards creating a shared resource library or knowledge database, some of the best examples of knowledge sharing actually happen spontaneously. 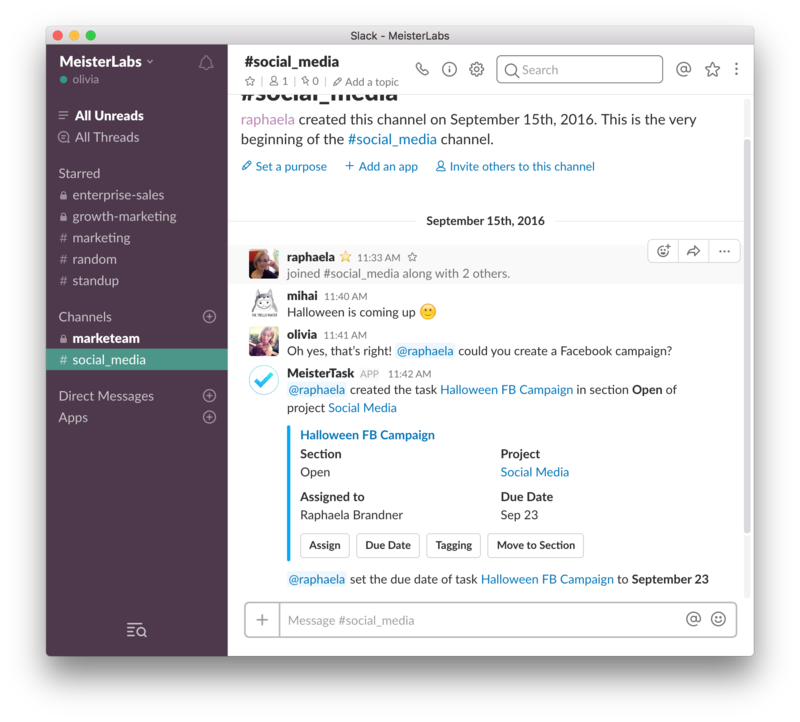 For that, your company needs an intuitive, reliable communication tool, to share information and knowledge seamlessly – Slack is a favorite for many, including at MeisterLabs. Meeting deadlines and completing tasks in a standardized, transparent way is often not just a matter of work ethic, but also a matter of understanding the necessary processes to get there. 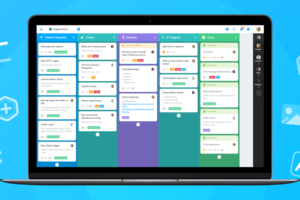 By using a tool like MeisterTask, your team’s project roadmap is transparent, meaning teams can build knowledge sharing directly into your project management process. 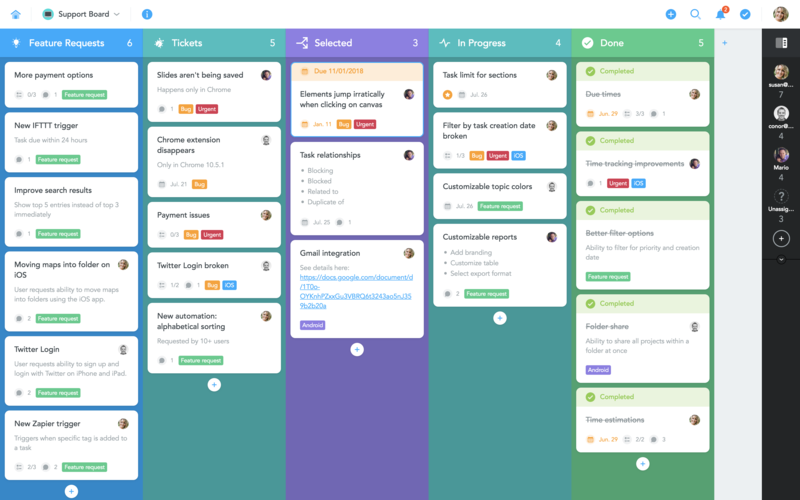 As teams can manage their tasks and projects in one central place, teams have quick access to a bird’s eye view of project and task progress. This level of transparency also has the added bonus of ensuring team members don’t accidentally duplicate work. With all tasks shared transparently, team members can quickly see what tasks their coworkers are already tackling. Often, knowledge sharing occurs in the form of documents changing hands. Perhaps you want to provide feedback on a colleague’s report or see the latest numbers on quarterly growth. Whatever the asset, you’ll want it to be the most up-to-date version and quickly available. 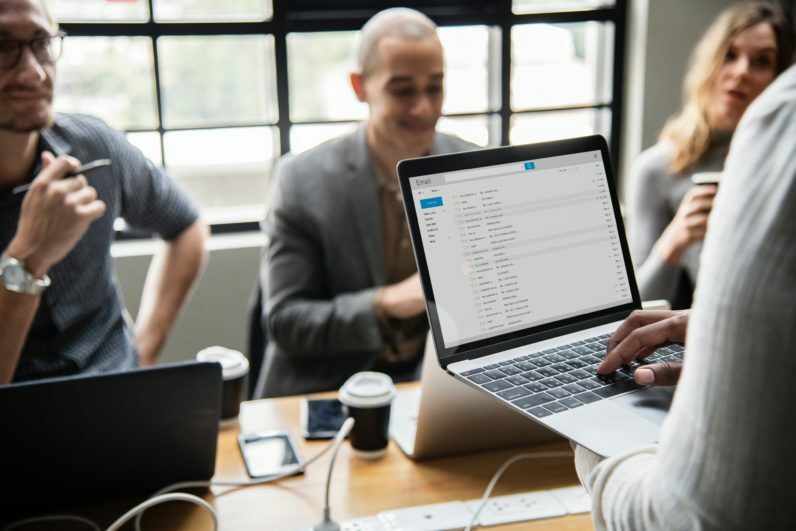 Fortunately, there are a number of cloud-based, file sharing solutions to help you store, share and collaborate, whether based in the same office or in another time zone. 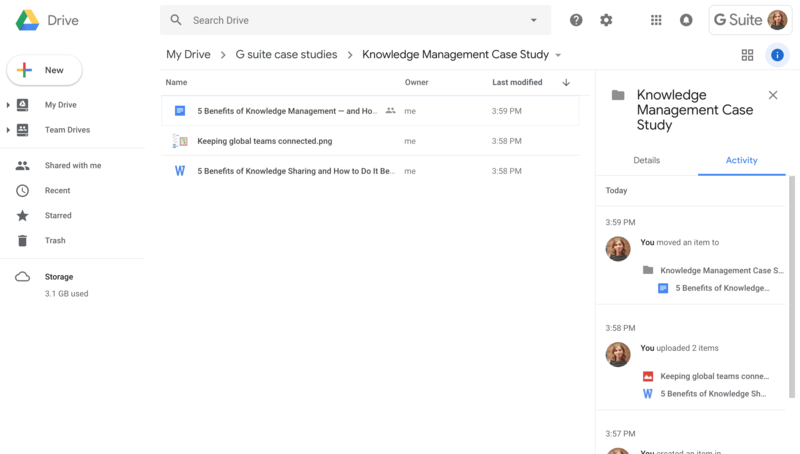 Google Drive is an industry favorite for this. 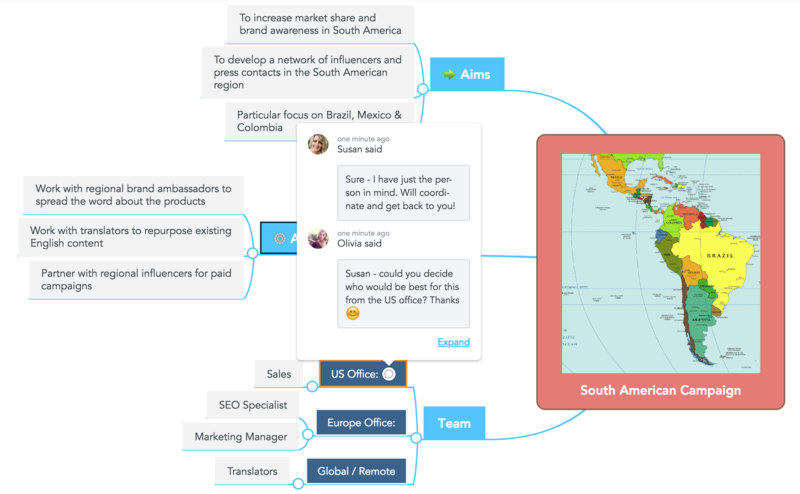 We’ve written quite a bit about knowledge maps on the blog before, as mind maps provide a great way to brainstorm and share, as well as store knowledge and ideas. 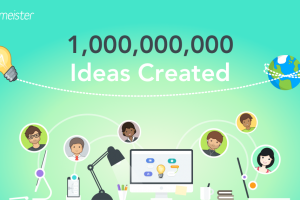 With online brainstorming software such as MindMeister available, teams can create a central, secure home for all new ideas. What’s more, the use of knowledge maps doesn’t end at creative ideation. Mind maps can help you on-board new staff, share a project plan or visualize a strategy, all in an online, collaborative way. 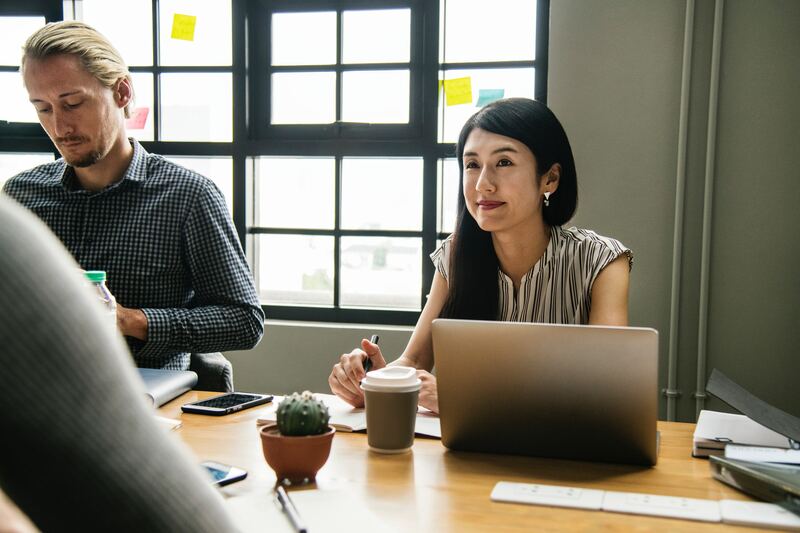 Cultural: Teams should make hiring decisions based on an applicant’s interest in collaboration, their openness, and forthrightness, as well as their ability to solve problems. Knowledge sharing is a soft skill, alongside effective communication, both of which should play a key role in modern hiring decisions. Technological: Modern businesses must recognize and invest in good organizational and communication tools that support knowledge management. Your company’s experience and ability to innovate is its lifeline, and sometimes you need a helping hand to keep that pulse healthy. Hopefully, now, you feel a little more informed and empowered on both of these approaches to supporting knowledge management. 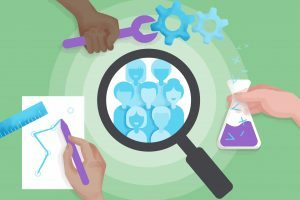 Whether it’s to make your company more resilient or bring your teams closer together procedurally and socially, knowledge management may well be the missing piece of the puzzle. Wow, so much great content within this. Thanks for stealing about 4 hours of my life, really got the creative juices flowing and I am confident that it will produce rewarding results. Thanks.